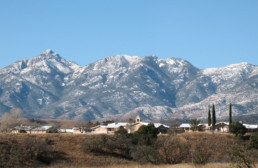 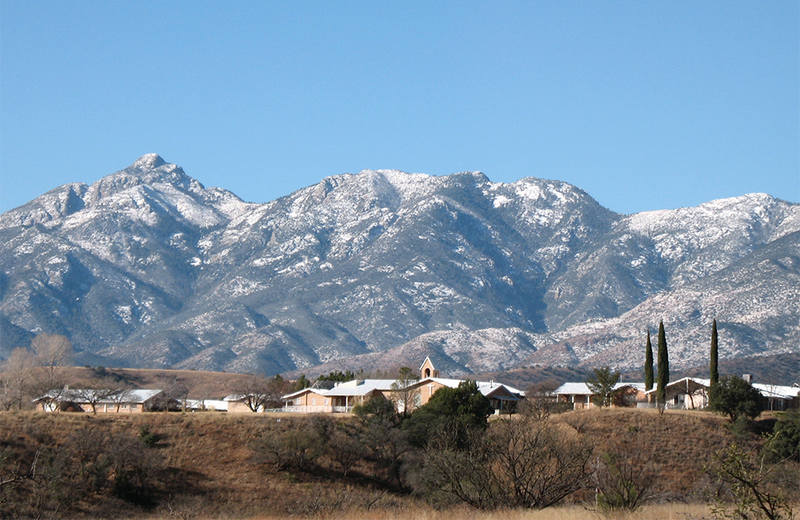 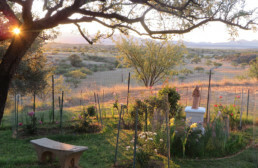 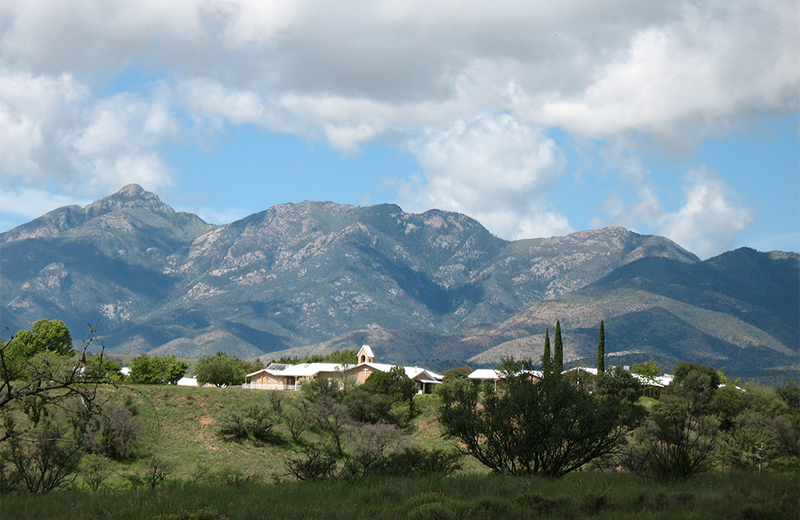 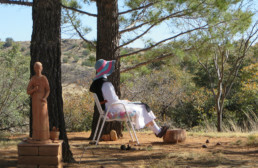 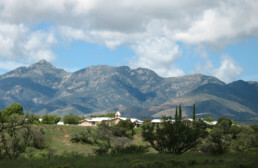 In 1972 Wrentham established a small monastery in the ranch country of Arizona, in the foothills of the Santa Rita mountains. 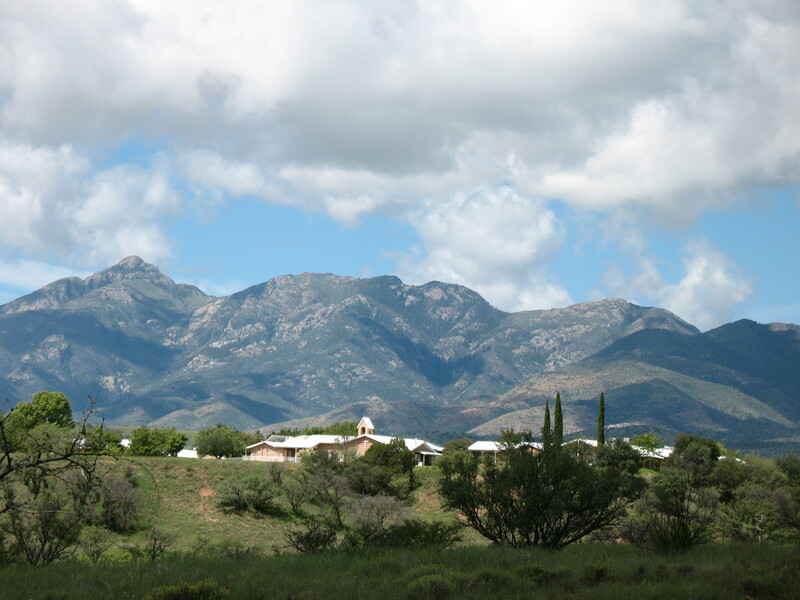 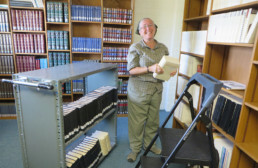 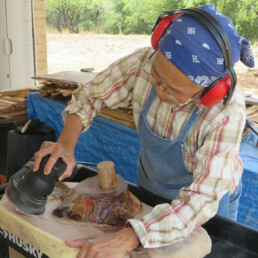 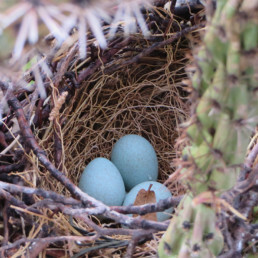 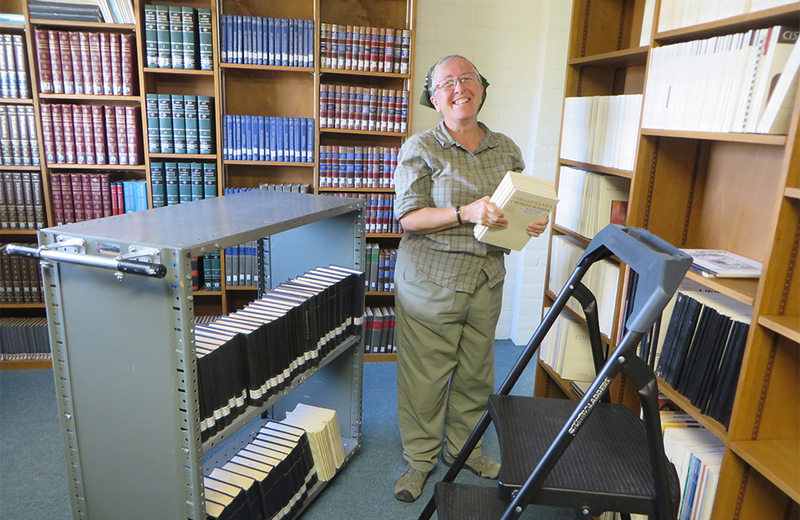 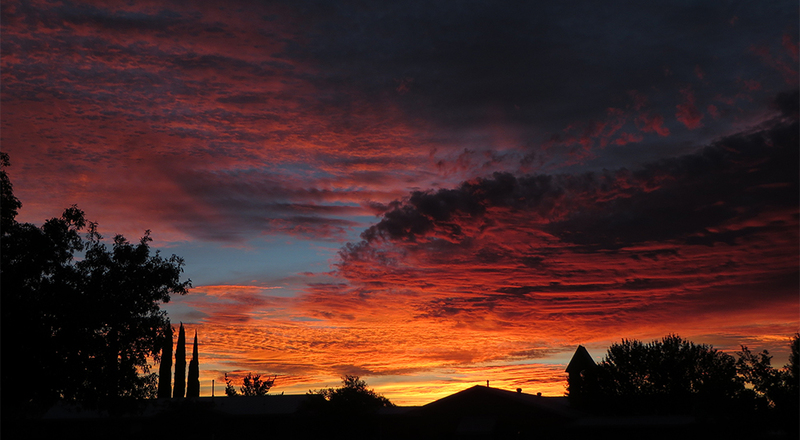 It is at an altitude of 5,000 feet, four miles from Sonoita, and thirty-five miles southeast of Tucson. 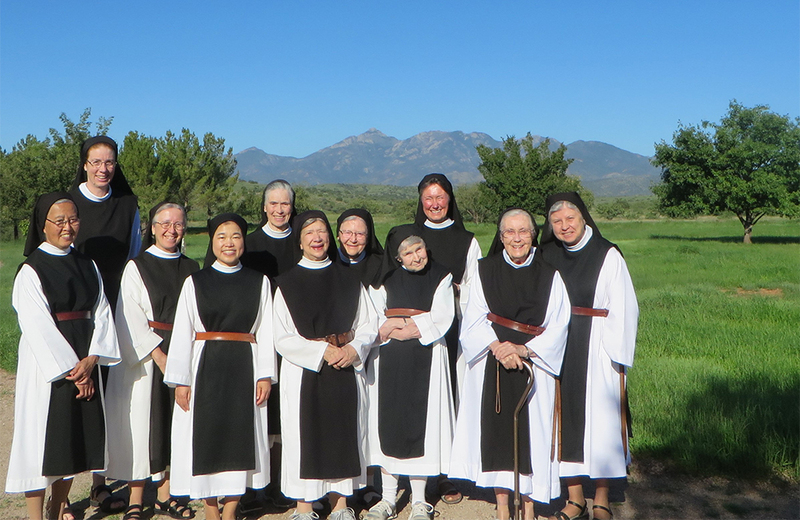 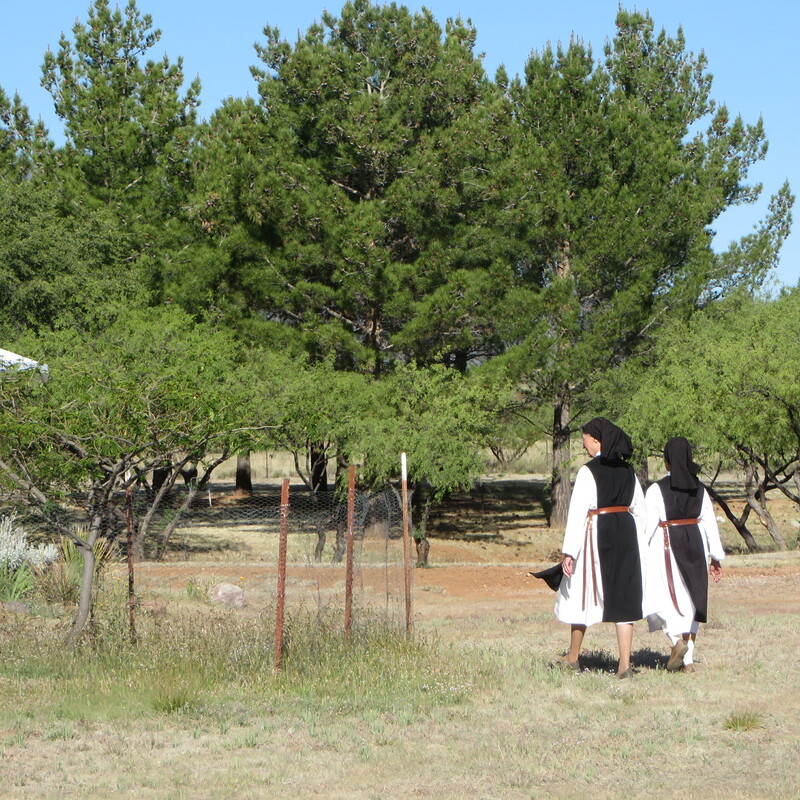 As the only Cistercian community in the American Southwest, our home is cradled in the natural beauty of a mountain landscape under an enormous sky. 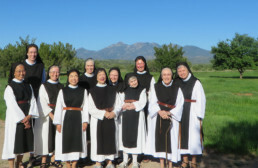 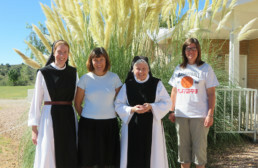 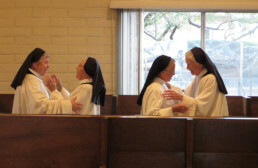 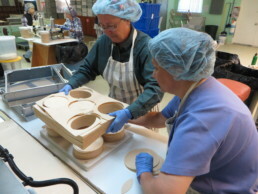 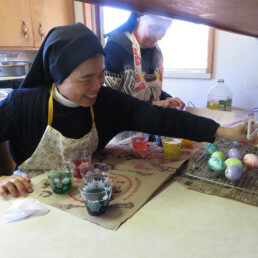 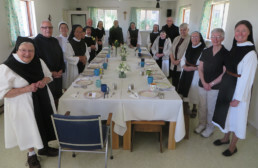 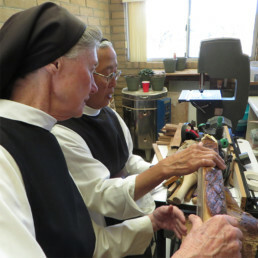 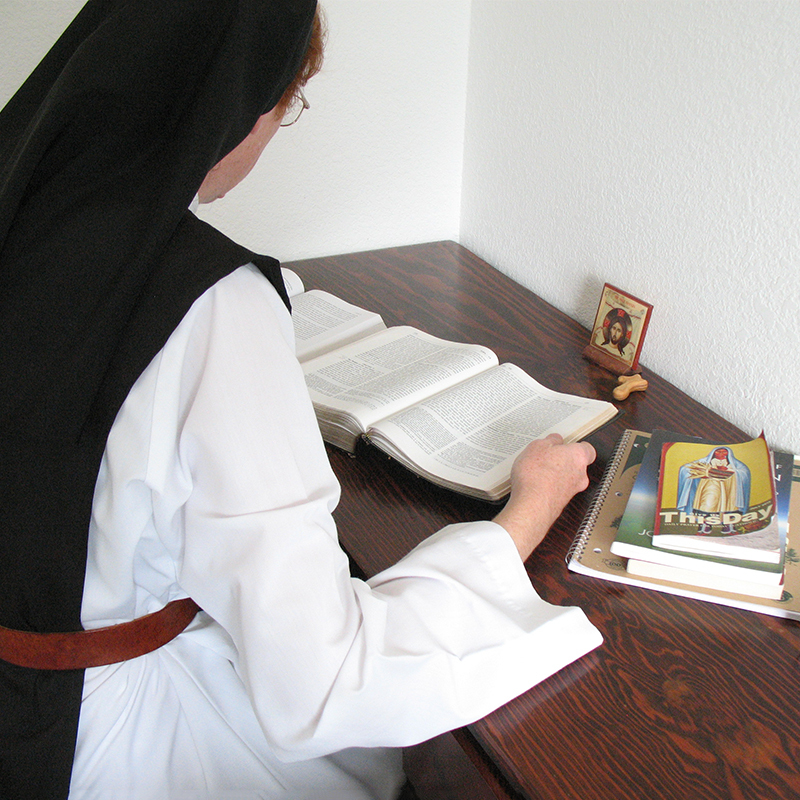 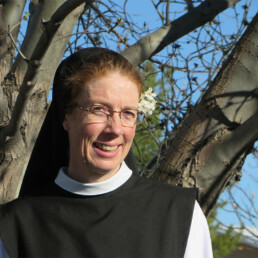 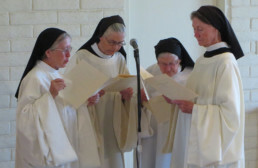 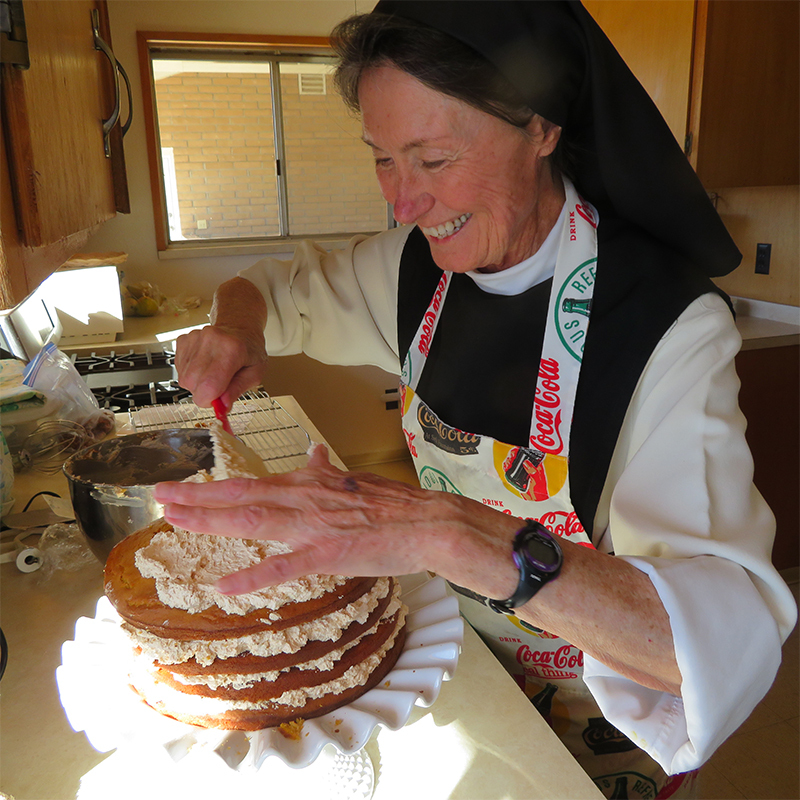 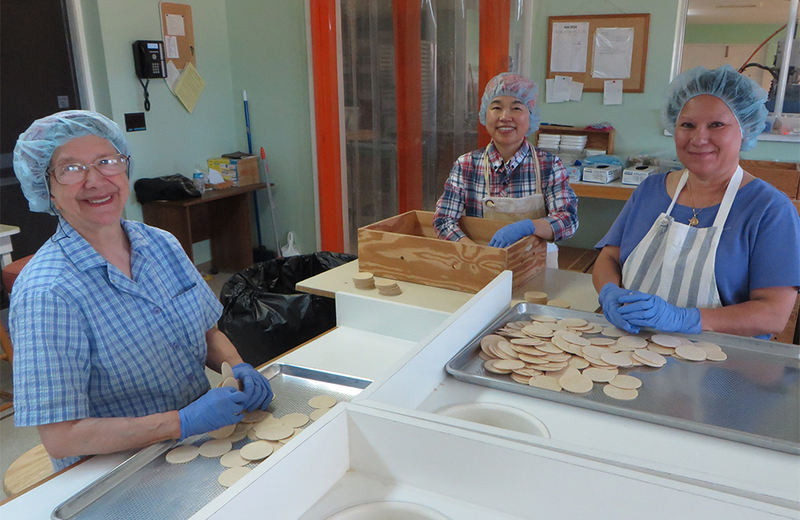 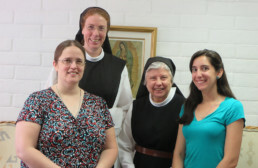 Our monastic family lives in a joyful simplicity of lifestyle and liturgy, a prayerful community life, and the constant willingness to be led in the paths of human and spiritual maturity. 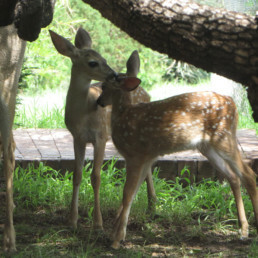 Respect for nature and the local wildlife enters into our life of prayer. 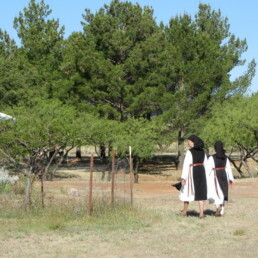 Undisturbed ourselves, we feel called to be a peaceful presence to this area of border unease. 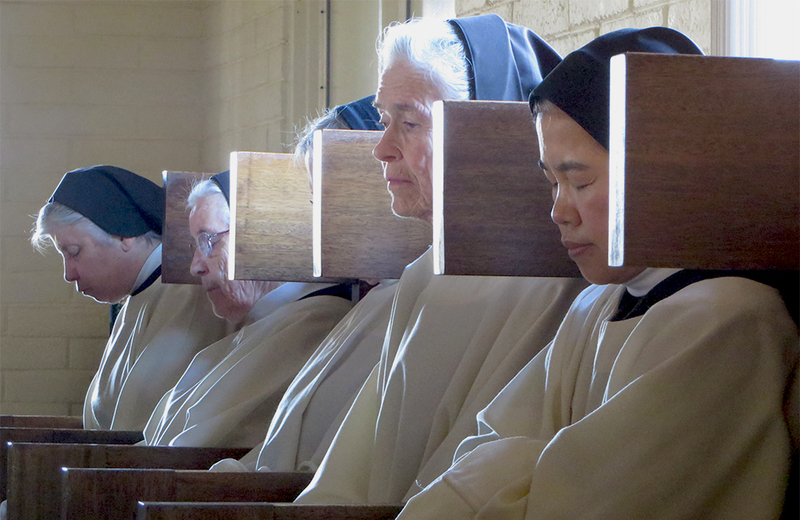 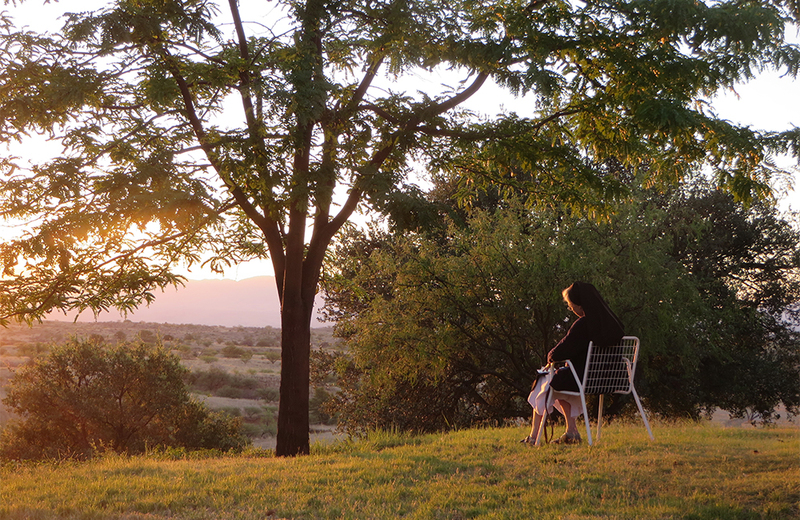 At Santa Rita’s Retreat House, our guests absorb the beauty of nature, participate from the guest chapel in the cycle of praise that forms the sisters’ day. They may read, fall into prayer, and let the stress of a demanding life fade into the background. 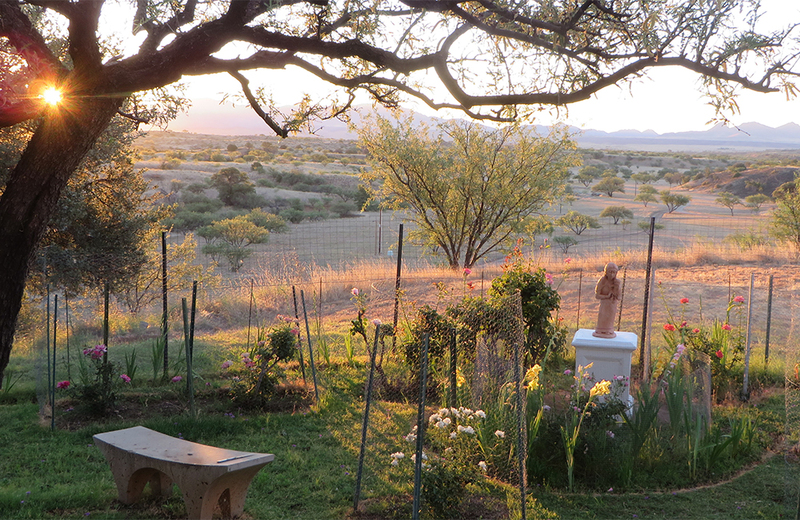 The simple dignity of the rooms refresh tired minds. Prayer becomes a bit less tense, and the clutter of everyday resolves itself into the simplicity of an encounter with God. 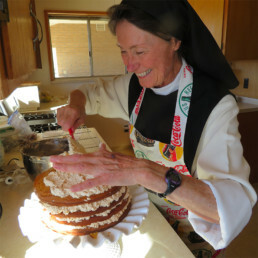 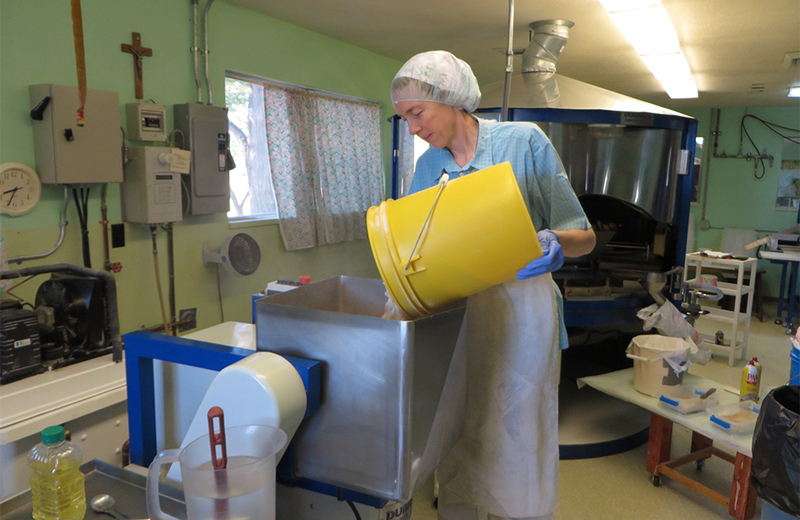 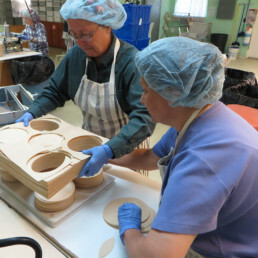 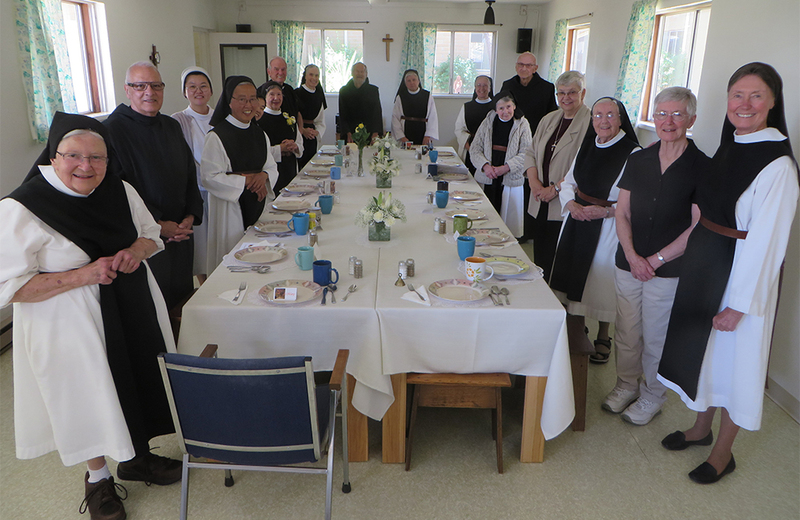 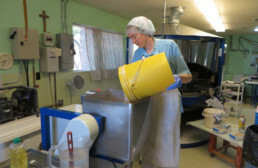 The retreat house offers a small kitchen and dining room, in which the guests prepare their meals from food provided. 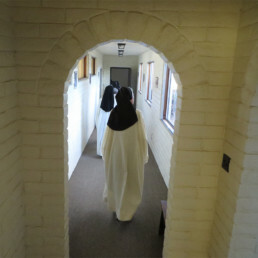 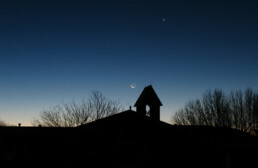 The Retreat House chapel, as well as the monastery chapel, is available for prayerful reflection. 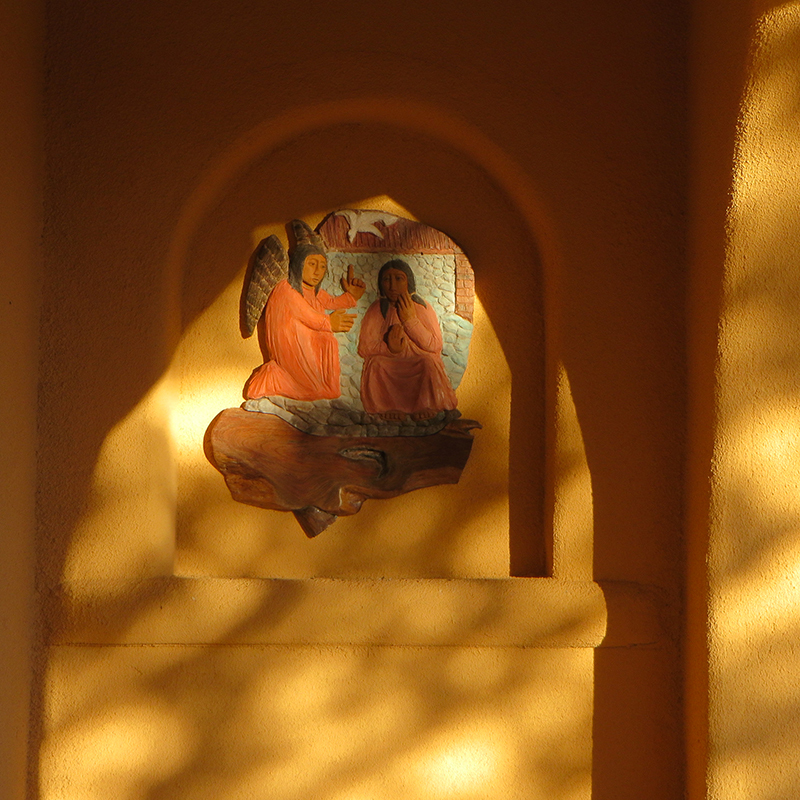 The rustic fountain that runs in the Retreat House courtyard symbolizes the refreshment of a few days at the Abbey. 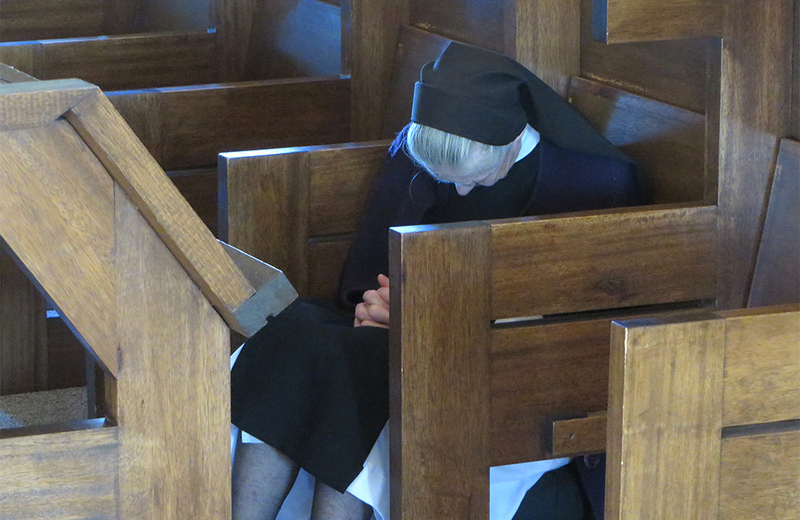 Christians, Catholic, Orthodox, and Protestant, come to our silence seeking God, but also those of other faiths or seekers of they know not what.